to Kentucky Great Dane Rescue. We are a foster-based, non-profit rescue program serving Great Danes and adoptive families in Kentucky and surrounding states. We are a 501(c)3 volunteer-based organization. All donations go directly to helping our dogs. KGDR works to improve the lives of Great Danes by rescuing, healing and finding permanent homes for Danes in need. We educate new owners and our community about the Great Dane breed to encourage long, healthy lives. Our ultimate mission is to give a Great Dane a long and healthy life in ONE permanent and loving home. Check out our adoptable Great Danes. You can also find them on Petfinder. For the most up-to-date information on our dogs, like us on Facebook or follow us on Twitter! View this short video and fall in love with a few of our rescued Danes! 4 EASY ways to help a Dane in need! Donate while you shop! Click through AmazonSmile. Shop til you drop and support a great cause! Be sure at the top of your screen, you see Supporting: Kentucky Great Dane Rescue Inc.
We all buy groceries. Why not help a Dane in the process?! 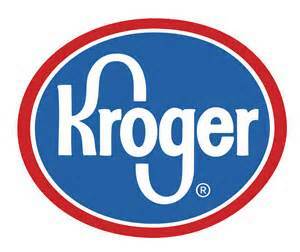 Kroger Community Rewards will donate a portion of quarterly sales from all registered rewards card holders to KGDR. Follow the link, register your card and use organization code 95640. Get in shape and take Fido with you! This is so simple! Download the app and register with Kentucky Great Dane Rescue. You AND our Danes will get credit for all those miles! They’re called GREAT for a reason!